This lovely little silver mussel shell ring has fine lines carved into the silver by hand to represent the growth of the shell on the underside. 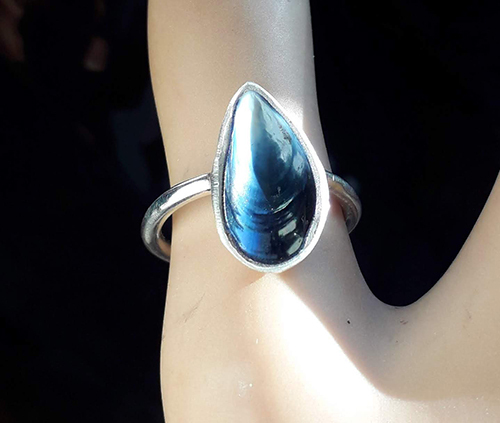 A real blue mussel shell found washed up oempty on a local beach is cut and set in a thick silver case. Please email your size required as these are all made to order individually.